ou may already know I place a strong emphasis on eating as much unprocessed, organically grown food as possible for optimal health. One frequently overlooked way to enhance and optimize health with organically grown food is the use of herbs and spices – unprocessed and organic, of course. One amazing benefit of these herbs is that they’re very low in calories, while being dense in vitamins and minerals. Herbs and spices promote health and well-being in your entire body, not just in a particular area. 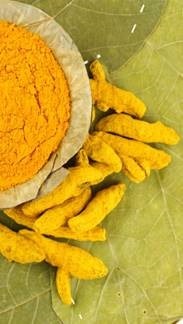 Be the first to comment on "“The Spice that Supports Your Body’s Astonishing Immune System”"